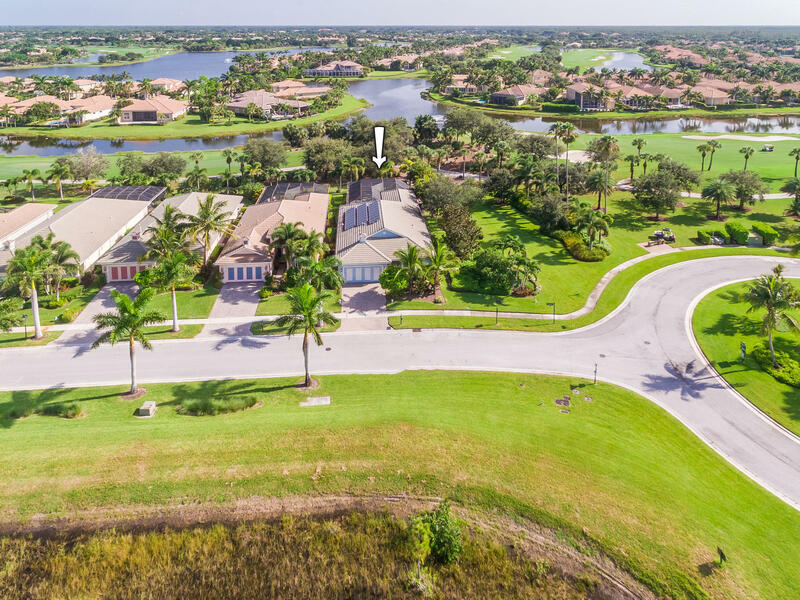 Amazing golf & lake views from this wide-open, luxurious, meticulously-kept, Key West style, 2BR/21/2BA + den home, located on an extra-wide corner lot in the exclusive & private community of The Club at Ibis. Architectural features such as tray ceilings, a unique geometric ceiling in the great room, crown molding throughout, granite counters in the kitchen and bathrooms, all distinguish this charming home. GE Profile appliances, a new water heater, and a 2-year-old AC add to the comfort of this house. The irregular, large heated pool with a boulder waterfall has Aqualink Controls inside the house. The pool and built-in-BBQ are situated on a large covered patio, overlooking the golf course and lake. A pervasive feeling of living in a natural, tropical setting is soothing and comforting.